On May 4th, 2019 the East Georgia Cancer Coalition is hosting its 6th annual Miles for Moms Run/Walk 5K in Athens, Georgia. This race will give us the opportunity to increase cancer awareness in an effort to decrease deaths due to cancer. This 5K event will highlight all cancer types, with special recognition to the mothers in our lives that have faced cancer. All proceeds from this event will contribute to programs and services for residents within our 52 county region in East Georgia. 100% of the EGCC's donations, programs, and services remain in East Georgia. 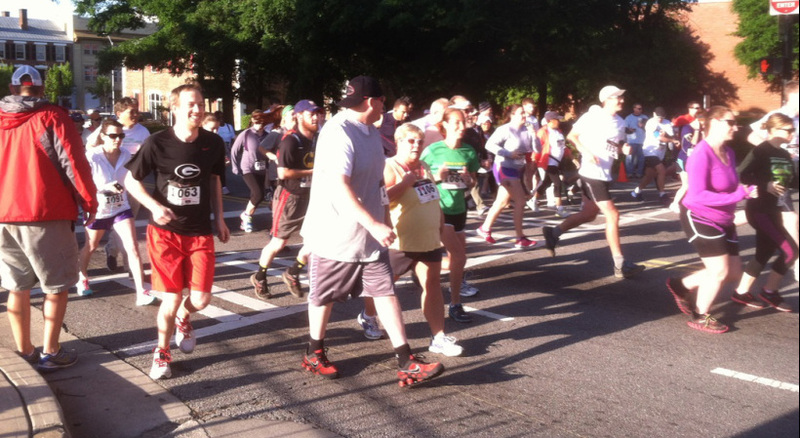 The race will begin and end at Milledge Avenue Baptist Church, located at 1690 South Milledge Avenue, Athens, GA 30605. Limited parking is available at the Milledge Avenue Baptist Church parking lots. Registration and check-in will begin at 7:00 AM on the front lawn of Milledge Avenue Baptist Church. The race starting time is 8:00 AM. Awards and prizes will be distributed immediately following the race inside the gymnasium. Refreshments and goodie bags will also be distributed to all participants immediately following the race. Early Packet Pickup will take place at the East Georgia Cancer Coalition office from 9:00 AM - 5:00 PM on Friday, May 3rd. We are located inside the Complex Carbohydrate Research Center (CCRC) and will have a table set up in the lobby. Participants must register by April 13th for Early Packet Pickup to guarantee a t-shirt. All other participants may check in on race day (Saturday, May 4th) beginning at 7:00 AM. Awards and prizes will be distributed immediately following the race at Milledge Avenue Baptist Church. Refreshments and snacks will be served at this time. Stay after the race to receive FREE health screenings and health information. Representatives from various health organizations from the community will be present. The health expo will take place on the front lawn of Milledge Avenue Baptist Church immediately following the race.